The bowl features an open mouth, thick lip and ring foot. 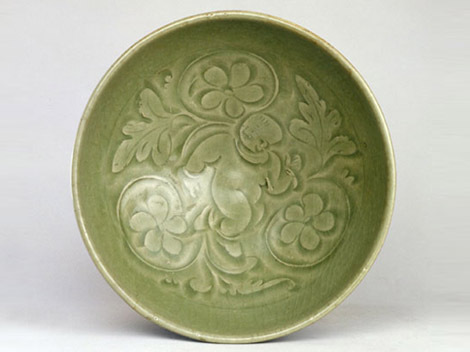 Both its inner and outer surfaces are applied with celadon glaze. Its inner surface is engraved with an adorable chubby kid playing among three lotuses. The baby wears a bracelet around each of his wrists. The bowl is noted for its exquisite engraving and vivid picture. In the late Northern Song Dynasty, playing kids served as the major decorative subjects of Yaozhou Kiln. Other examples include two kids swinging, four kids playing with lotuses, etc. 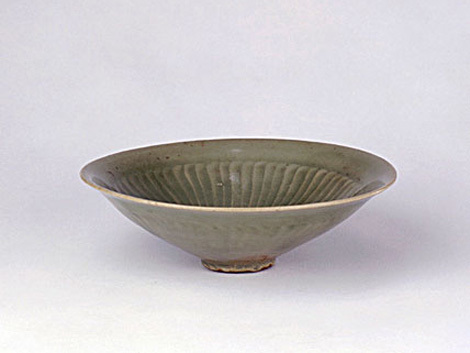 The open-top bowl is composed of six-petal shaped belly and a ring foot. Sea water traces are engraved on the inner surface and a swimming duck in the center of the bowl. No engravings are done on the outer surface. The whole body is applied with celadon glaze, whose color is dark and close to yellow. With an exquisite design and clear patterns displayed by the vivid picture of a swimming duck in the calm sea, the bowl is a typical example of Yaozhou Kiln. 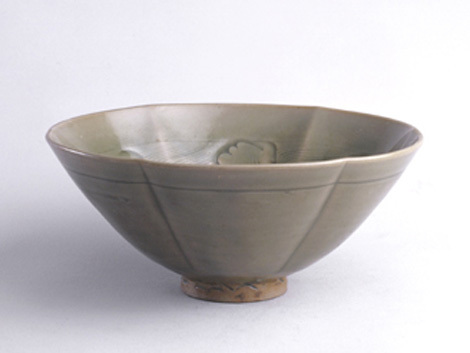 The bowl features an open top, big arc angle of the surface and a round foot. Both its inner and outer surfaces are applied with greenish yellow glaze. There is a decal of a chrysanthemum in the center of the bowl and the petals stretch like radioactive rays on both inner and outer surfaces. Chrysanthemums and other flowers constitute the common decorative subjects of Yaozhou Kiln. The uniqueness of this bowl lies in the fact that it successfully combines the abstract petals with the vivid flower by adopting trenchant cutting skills. The simple and clear picture brings to people the flavor of nature.